The Basic Knowledge About Pharmacy that's help in Interviews in Pharma Wisdom Industries. Pharmacist is a medical line which we can join when we can clear some competitive exams.Its not too difficult but also not too easy,It is really amazing field that many students join this line for their future and definitely got success.But before joining this field you have to strongly prepare for all exams and many more things. The first pharmacist is the world is Hospital Pharmacist was Jonathan Roberts but it was his successor, John Morgan, whose practice as a hospital pharmacist (1755-56). The father of Pharmacy is Galen. He was a famous Greek physician who further developed the ideas of Hippocrates. Since King James I established Western society's first independent pharmacist guild in England during the early 17th century, the pharmacy has held a central role in health care. There is a lot of confusions for freshet's that Is a Pharmacist is a doctor. So today we clear for those peoples who are confused. A Doctor of Pharmacy (Pharm.D. New Latin Pharmacist Doctor) is a professional doctorate in pharmacy. In some countries, it is a first professional degree and a prerequisite for licensing to exercise the profession of pharmacist. For new generations is a really big deal that how to become a pharmacist and what degree should we need for pharmacist. All pharmacists must earn a Doctor of Pharmacy (Pharm.D.) from an accredited school in order to practice. Postsecondary courses in your studies will include chemistry, biology and anatomy. Most students have three years of college experience or a bachelor's degree upon entering pharmacy school. This course takes at least 4 years. The Bachelor of Pharmacy degree is popularly known as B-Pharm in India. It is a four-year program with both annual and semester schemes available. To be eligible, one must pass with at least 50% marks in 10 + 2 (or an equivalent examination) with biology or biotechnology as one of the subjects. The salary of the pharmacist is made between $90,000 and $140,000 a year, with the average annual salary coming in between $112,000 and $119,000, depending on the data source. Staff pharmacists at mail-order pharmacies were the lowest paid in 2015, earning an average wage of $56.69 per hour. 3.Organizational skills and ability to priorities work. 4.Very high standards of accuracy and attention to detail. The real symbol of pharmacy is Bowl of Hygieia is one of the symbols of pharmacy. Hygieia was the Greek goddess of hygiene and the daughter of Asclepius. The first pharmacist was begun In Baghdad the first pharmacies, or the drug stores were established in 754, under the Abbasid Caliphate during the Islamic Golden Age in the 9th century. The word pharmacy is derived from Old French Pharmacie substance, such as a food or in the form of a medicine. It is relatively common, especially in the United States, to find the caduceus, with its two snakes and wings, used as a symbol of medicine. so, I hope this article will help you for a bit knowledge about Pharma wisdom 2018. Pharma wisdom is a pharmaceutical consultancy company providing a wide range of services in the field of pharma. Pharma wisdom is a team of highly experienced pharma professionals with huge experience in the fields of pharmaceuticals. 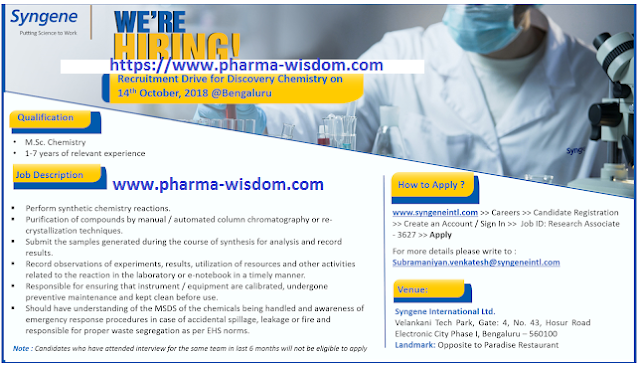 Pharma wisdom 2018 pursuing jobs in the areas of clinical research, pharma co vigilance, medico-marketing, training and development, regulatory affairs, patents, and food laws and manufacturing. There are different posts available in the field of pharma. With the help of pharma wisdom, people get a satisfying job in pharmaceuticals and pharma technology. It organizes various career hunt programs in various cities of India and certified newcomers. As our technology grown rapidly, career options are also increases. The pharmaceutical industry discovers, develops, produces and market pharmaceutical drugs for use as medications. As the industry increases the market for drugs, opportunities also increase for youngsters. Pharma wisdom is basically related to pharma jobs where thousands of youngsters getting jobs. Training and development is a lifelong process in the pharma industry where new information is available almost daily. The representative has to be knowledgeable about the products he is promoting. Hence, training becomes an integral part of his success strategy. Pharma wisdom can make training schedules for companies depending upon their product. Pharma wisdom has a team of experienced medical advisors on board who will help in the proper positioning of the brand. Pharma wisdom offered a complete package equivalent to medical services with increasing restrictions set voluntarily by the pharmaceutical industry association. Pharma wisdom job has the ability to set up a pharma co vigilance case processing unit and populate it with qualified and trained associates having the right skill sets, transition the tasks and manage the project to the sponsor's satisfaction. To get a job in pharma co vigilance, first of all, we have to check out the list of pharma companies in the city or country you would like to do the job. Each company publishes a lot of such lists on his blog. Once you have listed out the companies, try on their individual career portal on their website. Whenever you apply for a job, modify your CV a bit according to the job description they posted. Keep updating your knowledge and update yourself. Pharma wisdom offers filing if the patent, defense of patents, appearance in courts etc. There are groundbreaking changes happening in the pharma regulations. With decades of regulatory affairs experience. Pharma wisdom in the best position to help you prepare a regulatory strategy and assist in various fields. The scope of B.Pharma in the government sector- drug inspector, pharmacist. The scope of B.Pharma in private sector- Pharmaceutical marketing, marketing devices, and quality control. 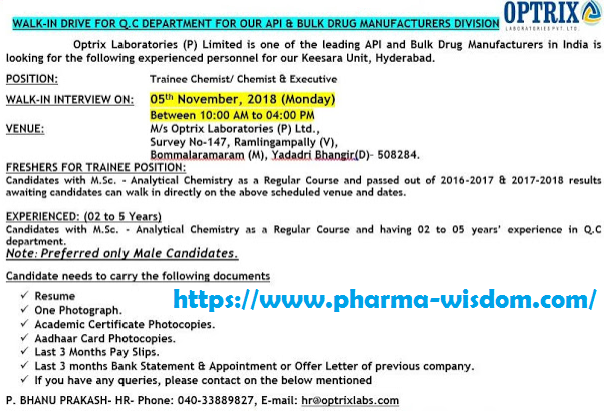 Self-employment opportunities- Pharmaceutical companies like Cipla, Dr. Reddy's, Al chem lab, Bio con, Uni chem labs, etc. Opportunities after higher educations- M.Pharma, MBA, MS, Ph.D., LLB. In simple language, we can say that Pharma wisdom is an enlightening spark of professionalism transforming education into practice dedicated to pharmacy professionals. 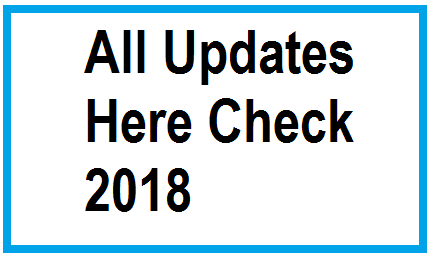 In this year daily we will give you new jobs information all jobs are pharma wisdom jobs, so check our website in daily bases and find your dream job here fast. You Know Pharma wisdom is a pharmaceutical consultancy company providing a wide range of services in the field of pharma. Pharma wisdom is a team of highly experienced pharma professionals with huge experience in the fields of pharmaceuticals & it provides wisdom jobs.